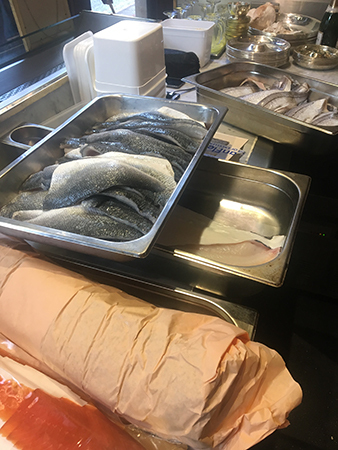 As you might already be aware of, at Randall & Aubin we are seafood fanatics and we are proud of the completely unique nature of what we sell in our restaurant. We have sought class A prime seafood, which isn’t often available anywhere else - premium products that are the best quality that money can buy. We know that prime fish is expensive - seafood isn’t cheap, but we source only class A premium produce that you can’t buy just anywhere. 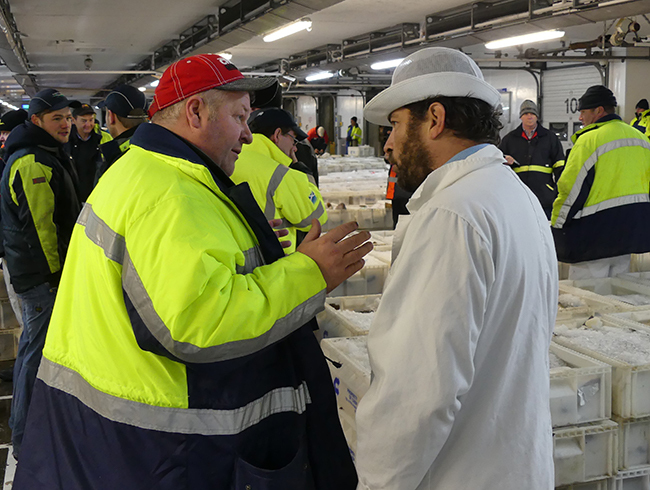 Here is Ed Baines deep into it with a fish trader in Petershead. Take our Queen Scallops, for example. These are a small variety of scallop famed for their sweetness. They are a unique and rare delicacy from the Isle of Man - they’re the talisman for the fisheries in the North West and they epitomise the local and well-managed fisheries that exist with the 12 mile limit of the island. ‘They are caught using an old-fashioned, but efficient, method, which uses chains or ropes to disturb them and shepherd them into the net which is towed along the seabed. 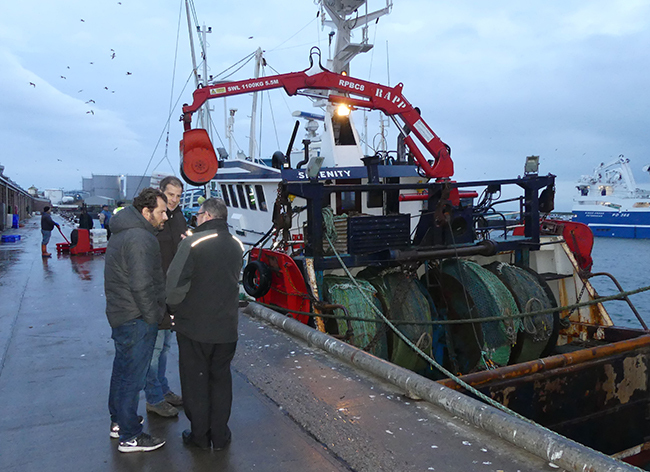 Trawling like this of course, places a much lighter touch on the environment and therefore is of great interest to us, as it’s more ethical and less damaging.’ Once landed, the Queen scallops are gutted and cleaned by hand to remove any grit and then packed. Below Jamie Poulton at Ed Baines quayside after their mornings trawl. Although not large, they are extremely sweet and best sucked from the shell when grilled with garlic butter, crispy pancetta and capers. 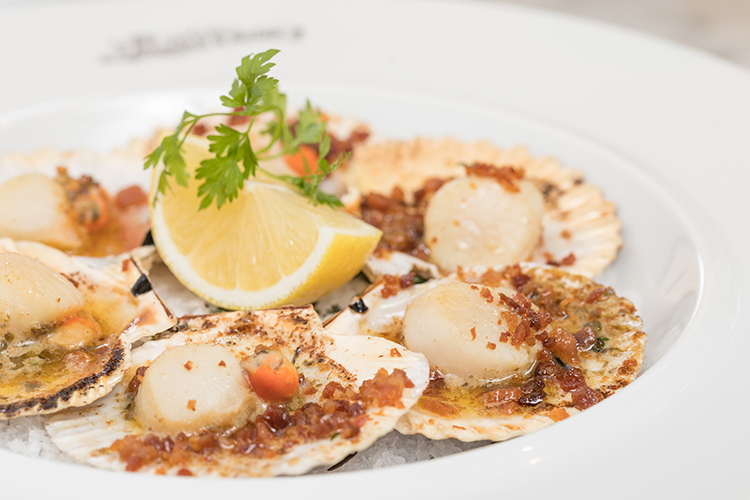 If you’re after a large, meaty scallop, then the Orkneys are for you. 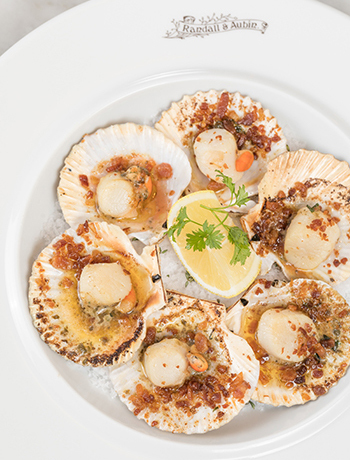 But for something special, which is simply not seen on many other menus, give the glorious Queenies a try. We take enormous care in selecting the finest quality specimens of each type, all sourced with traceability and provenance in mind, and delivered direct to us. This standard of product is not available in the market and we are proud to know the responsibility and sustainability of our produce when it comes to the catch. Below left our beautiful Queen Scallops dish and to the right the fantastic quality delivery we had that morning.